Centaurea repens of Michigan Flora. An Asian species collected in Michigan in 1928 along railroad tracks near Ann Arbor, Washtenaw Co. Since, collected in 1936 (but persisting for at least a decade) along a railroad in Kalamazoo Co. 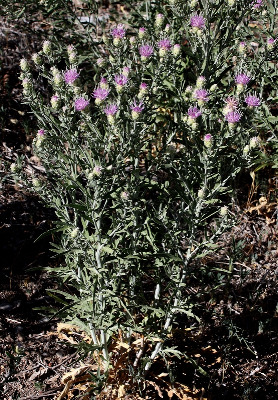 This is a noxious weed in many parts of North America. This species is easily recognized by its entire phyllaries (scarious apically) and long (ca. 6–9 mm) but early deciduous pappus. See Hidalgo et al. (2006) for detailed information. Also known as Acroptilon repens (L.) DC. MICHIGAN FLORA ONLINE. A. A. Reznicek, E. G. Voss, & B. S. Walters. February 2011. University of Michigan. Web. 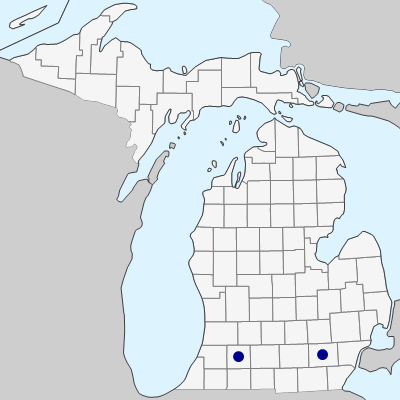 April 21, 2019. https://michiganflora.net/species.aspx?id=209.